I am looking for a Embassy Suites hotel room for 2019. If anyone is thinking of canceling please let me know prior to canceling. Oh yeah it solds out crazy fast. I know people back out and worst case I will get an rsvp at a neighboring hotel. They need to Open up more rooms. I tried to get a room there on the second day, in the morning. Sold out the prior night in 5 hours or less. I tried to get a room without the discounted rate. Im also willing to buy someone out of their booking if they cant make it! Right now Im at the Hyatt across the street, better rooms, closer to the event actually, but the wife likes the ambassador suite better. Im pretty sure its the free happy hour LOL. Sorry to jump in on this thread too, I'll take any vacancy after the two others above needing a room get one. Please PM me if anyone has one. There is still plenty of lodging available that is an easy walk away. 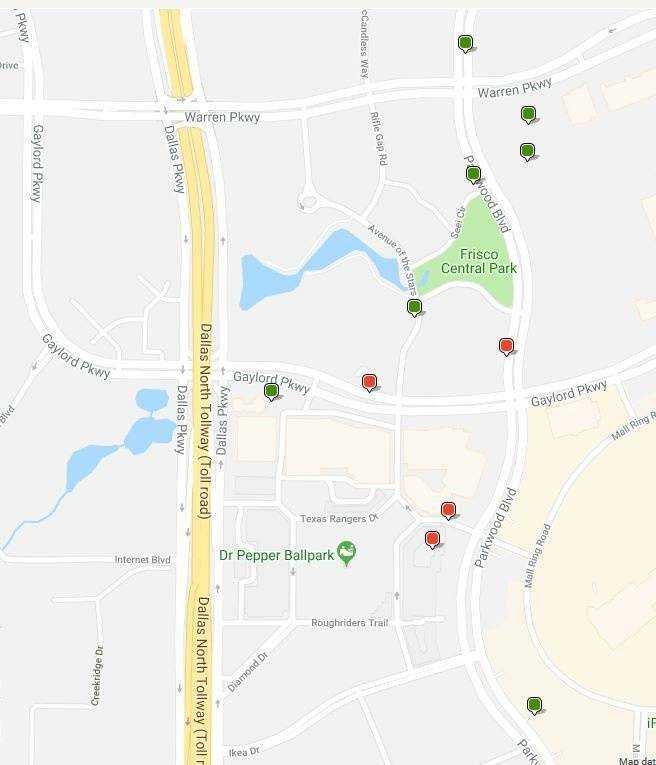 This map is from hotels.com after doing a sort by distance from the Dr Pepper ballpark - three sell-outs is really an impressive testament to the success of the show, but 7 additional walking distance hotels is an equally impressive testament to the suitability of Frisco to host this amazing show. The Indigo lists the best price right now at $123 per night for Friday and Saturday nights. Correct. I'm staying at the Drury. It's right across the street. PLenty of rooms for everybody in this area. I tried for the Drury last night, & my booking failed. Tonight I signed up for 2 Queen Bed at Aloft, Thursday - Sunday check out. Embassy is sold out, was able to get Wednesday at show rates, 2 Queen. I’m booked at the Home2 Suites within walking distance. Hoping someone is kind enough to check the thread before canceling. Usually week before! Holy smokes TPF is two months away! Yea I'm staying here now very clean new and comfy. Looking to meet new people who actually stay up late.